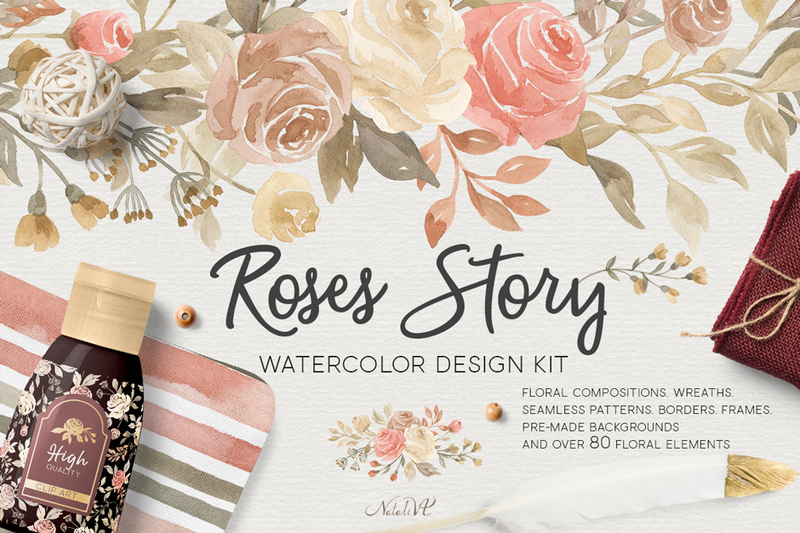 Watercolor Roses Story Design Kit: 80+ Floral Elements, 14 Seamless Patters + more! This Big Watercolor Roses Design Pack includes floral compositions, wreaths, seamless patterns, borders, frames, pre-made backgrounds and over 80 floral elements! File size is approx 1.02GB (1.15GB unzipped), offered as a single download.